Spill a little bit of blood in the water and the sharks will come. Days after Saturday night’s controversial decision that gave Manny Pacquiao a win many felt he didn’t deserve against Juan Manuel Marquez, the boxing world was still buzzing about what transpired. The idea that the No. 1 pound-for-pound fighter in the world could be challenged so thoroughly by anyone, but especially a 38-year-old who was a 9-to-1 longshot heading into the match, absolutely befuddled other fighters. Once the shock dissipated a bit, though, the vultures came out full force. Vulture No. 1: Britain’s World Boxing Association (WBA) and International Boxing Federation (IBF) light-welterweight world champ, Amir Khan. 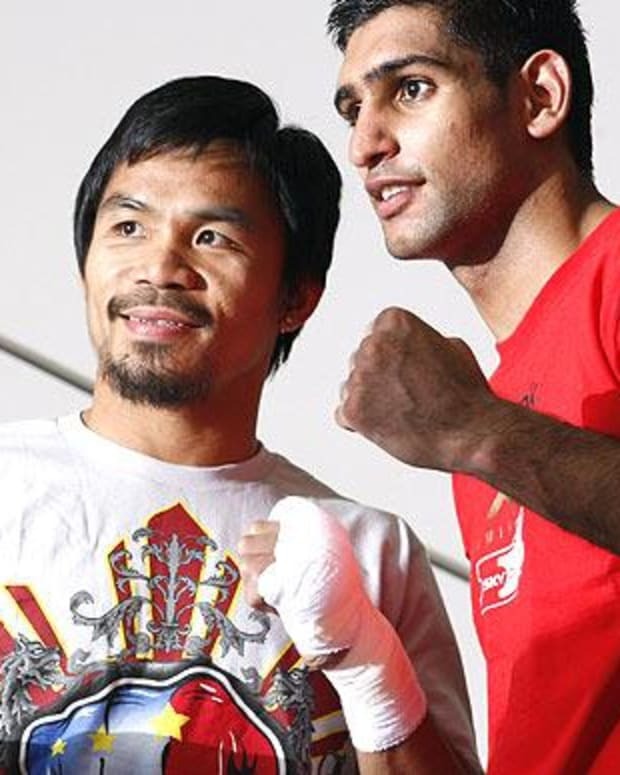 In an interview with The Daily Telegraph, Khan made it clear that not only did Marquez beat Pacquiao by “one or two rounds,” but that the fight should make the latter boxer contemplate retirement. “It was a close fight,” Khan said. “You could see Márquez had done his homework and knew what he needed to do. When they went into the last round, I thought Márquez was going to win and ­Manny’s trainer Freddie Roach thought the same. A good friend? Clearly. And what advice does Khan have for his good friend? “I’m going to tell Manny to consider retirement and not go on too long. He has some serious thinking to do – he was lucky and he got away with it against Márquez. 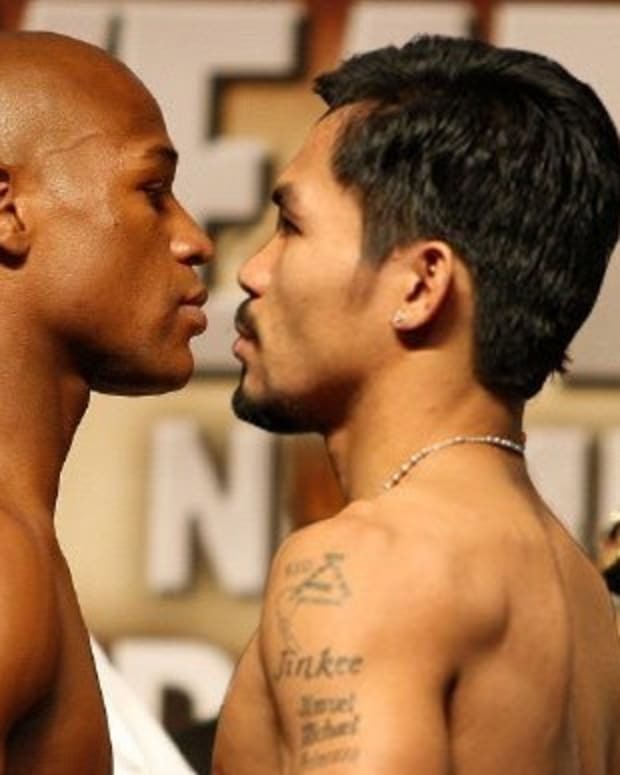 Khan then busted out the trump card – how Pacquiao would do against longtime rival, Floyd Mayweather Jr.
Why exactly is Khan speaking out like this against his friend? Hard to say. Of course, as Opposing Views reported some weeks back, perhaps their friendship has taken a hit because Pacquiao’s people requested that he no longer spar with Khan. Everyone assumed that this was just a mild concern given the chance that these two may end up in the ring together; however, if you believe Khan, maybe he was just whipping on Pacquiao a little too much for everyone’s liking. Safe to say, after this interview, Khan and Pacquiao may need to go back to the drawing board and rework their friendship a little bit. Floyd Mayweather vs. Amir Khan in the Works for 2013?